On Oct. 21, 2016, DWD was awarded an ApprenticeshipUSA State Expansion Grant (SEG) from the U.S. Department of Labor (USDOL) to expand RA programs throughout Indiana. As part of the State Apprenticeship Expansion (SAE) grant, the original grant will be extended through Oct. 31, 2020. This additional grant is to support RAs and programs that may lead to RA opportunities.  Click here to access the RFA. Click here to access Frequently Asked Questions and Answers. 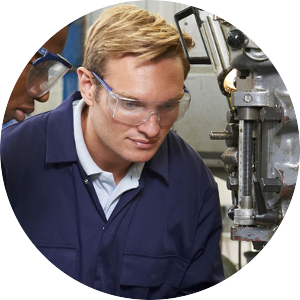 Through the U.S. Department of Labor, this program includes on-the-job training with accompanying study for a trade/profession resulting in a national industry certification with wage increases at specified timeframes. 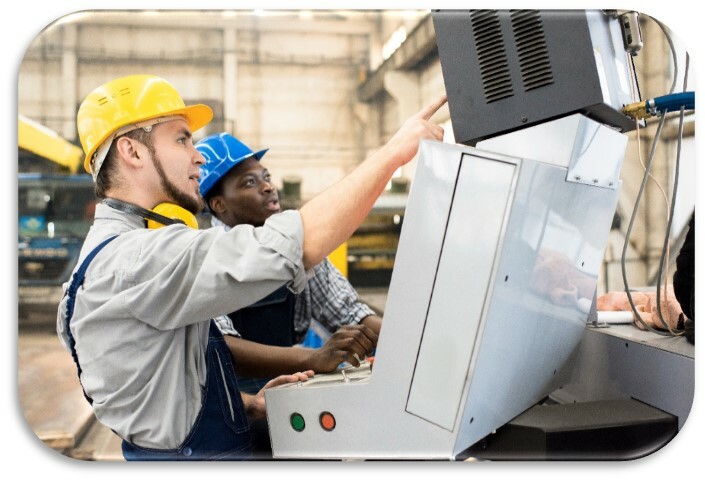 Most training is done while working for an employer who helps the apprentice learn their trade or profession, in exchange for their continued labor for an agreed period after they have achieved measurable competencies. Apprenticeships typically last 3 to 7 years. 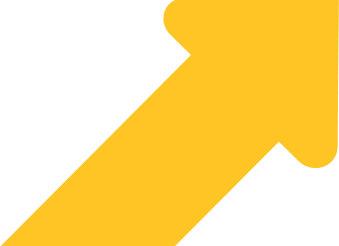 People who successfully complete an apprenticeship reach the "journeyman" or professional certification level of competence. 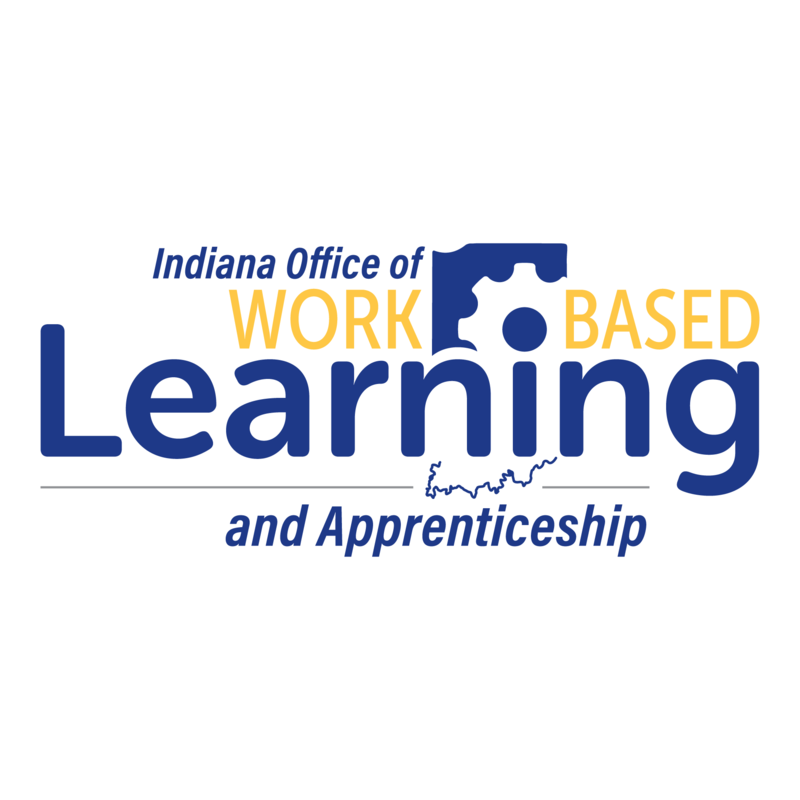 Indiana’s State Earn and Learn (SEAL) programs are certified through the Office of Work-Based Learning and Apprenticeship. They are structured, but flexible, programs that include an education component and OJT component. SEALs focus on employer needs, with sustainable partnerships and embedded industry certifications. They can last from weeks to years depending on employer, education, certification, or licensing requirements. These can be developed as youth or adult programs with K-12 or post-secondary partners. 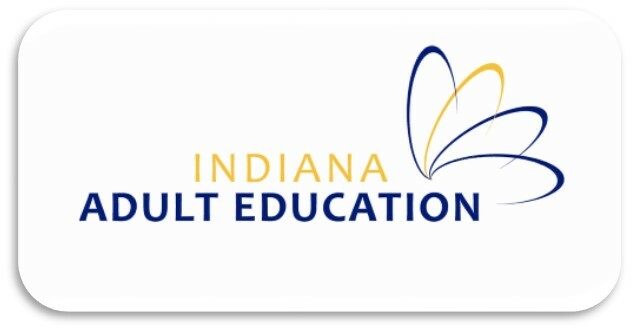 Indiana Adult Education programs provide instruction free of charge to help individuals acquire the skills needed to earn a high school equivalency diploma, go to college, or enter an entry-level occupational certification program. 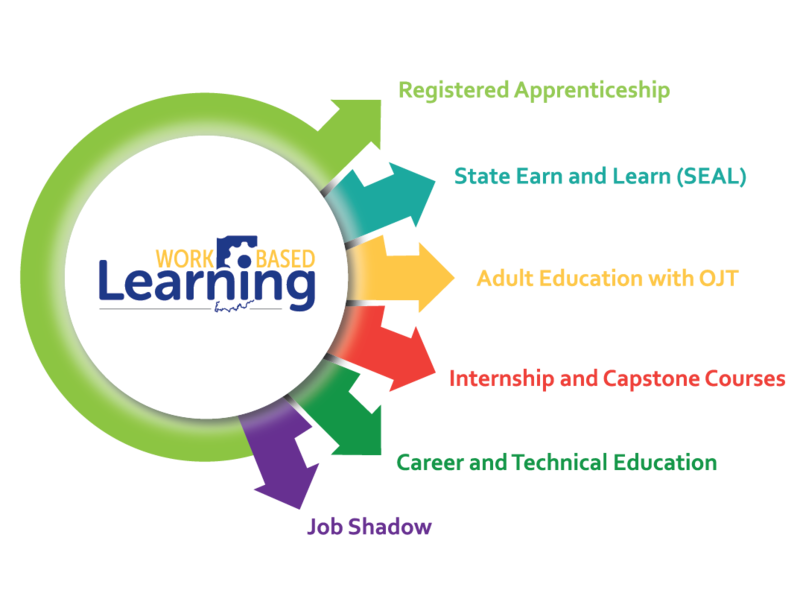 A high school equivalency diploma and an occupational certificate can be obtained at the same time through the WorkINdiana program, allowing an individual to get back to work or begin a new career quickly. Combining this type of education with OJT can substantially increase employee skills, enhance information retention, and provide an individual with income while learning. 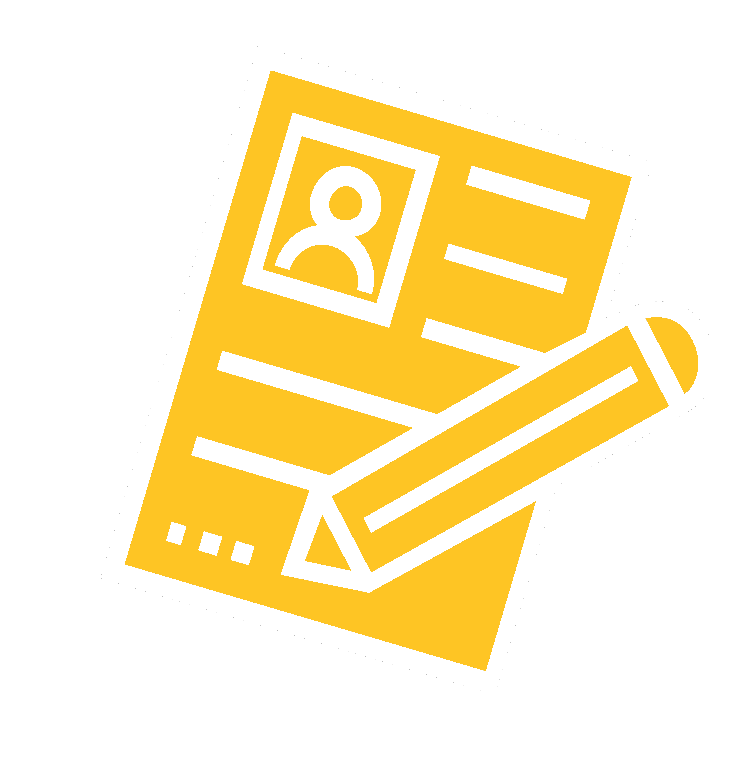 Participants work for an employer, paid or unpaid, for a limited period of time for career exploration and experience, skill development, and networking. Traditional internships are in the summer, with a focus on high school and college students. However, more robust internship programs can be held anytime throughout the year, and include both micro-internships and virtual internships.  Capstone courses have many different structures and vary among schools and colleges/universities. 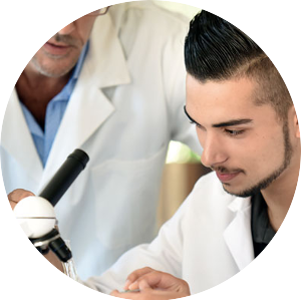 Capstone courses are designed to give students the chance to apply the knowledge they have acquired throughout their education to real-world situations, and to encapsulate all the learning objectives of a student's major. Students usually take capstone courses during the final year in school. The Capstone experience provides the opportunity for every student to practice skills that will serve them well in college and at work: critical thinking, creative problem solving, communication skills and collaboration. 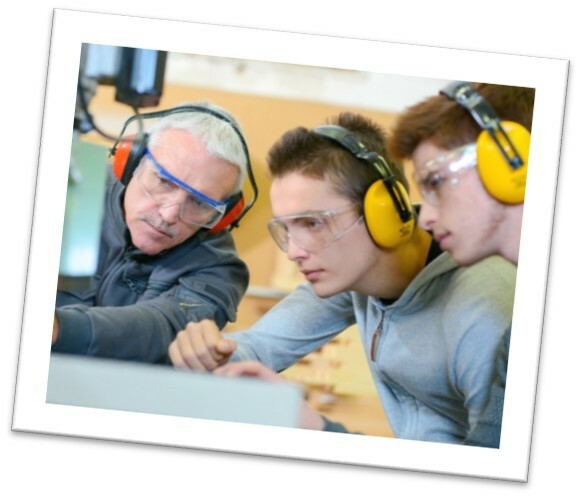 Career and Technical Education (CTE) prepares youth and adults for a wide range of high-wage, high-skill, high-demand careers. 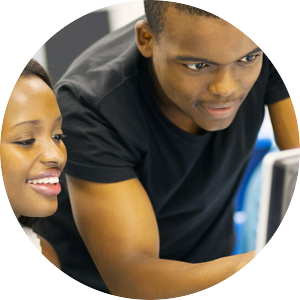 The mission of CTE in Indiana is to ensure an education system of high quality and equity for the academic achievement and career preparation of all Indiana students. Students in Indiana’s secondary CTE programs will gain the knowledge, skills and abilities needed for success in postsecondary education and economically viable career opportunities. 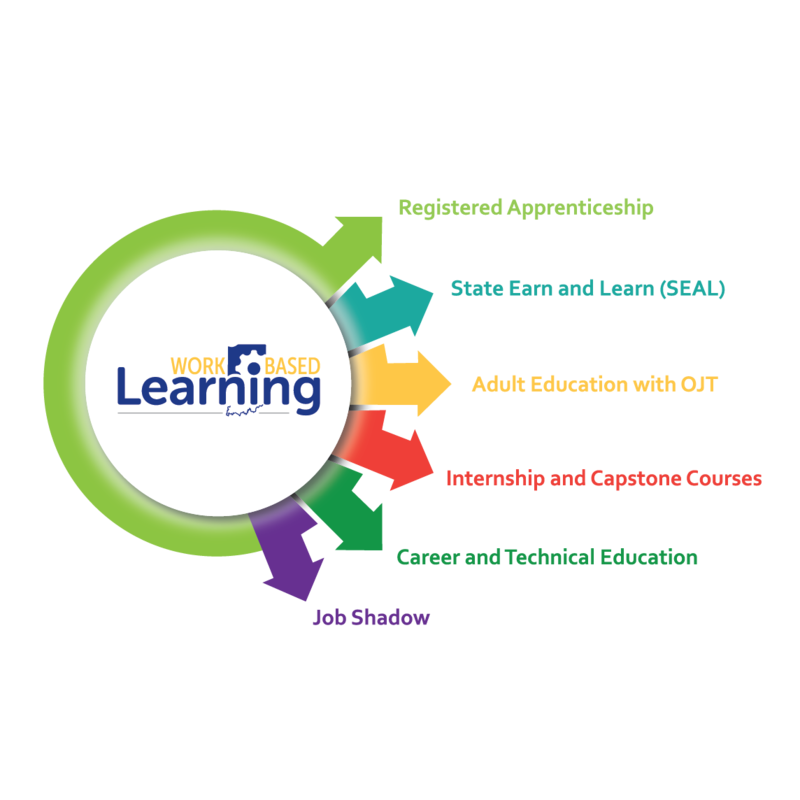 CTE recognizes that classroom learning provides only part of the content knowledge and skills development students need for success in college, career, and life. 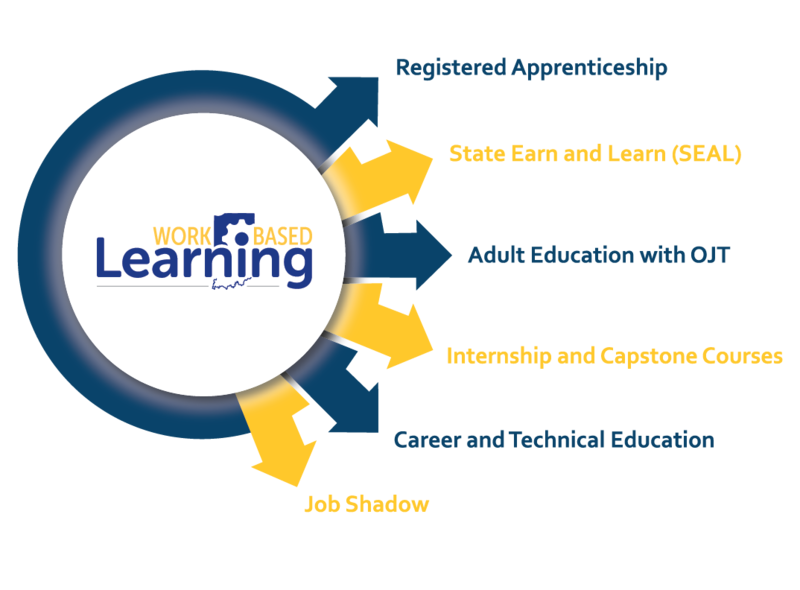 By creating opportunities to learn in the workplace, students develop and refine the workplace competencies needed to enter and succeed in a chosen career, adjust to the employment environment, and advance along the career pathway of their choice. 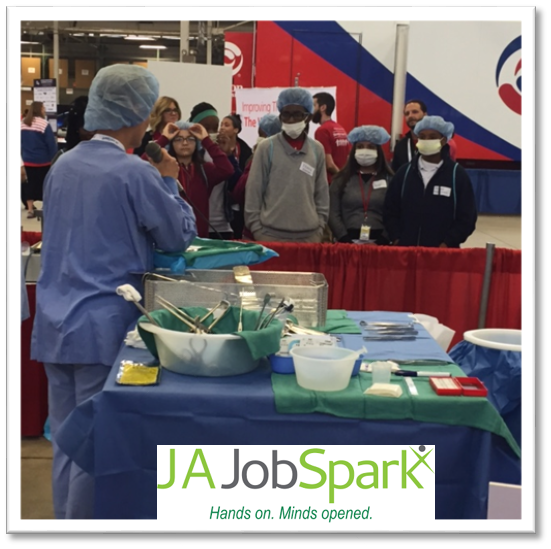 Aimed at career awareness and exploration, these experiences typically last for one day or less. They are an excellent way to introduce both youth and adults to a particular occupation before they spend time and/or money for training. Funding is provided by the United States Department of Labor under cooperative agreement number AP-29236. This material does not necessarily reflect the views or policies of the United States Department of Labor, nor does mention of trade names, commercial products, or organizations imply endorsement by the United States Government. One hundred percentage of the total costs of the project or program is financed with Federal funds, for a total of $200,000 dollars.  © 2018 State of Indiana, All Rights Reserved.